The Bedroom Privacy System enables an alert to be raised if an unauthorised person enters the bedroom whilst ensuring authorised people can move freely. The threshold of the door is monitored in an non-invasive way. This detects unauthorised access to the room, whilst allowing Care Staff and other permitted guests to enter. 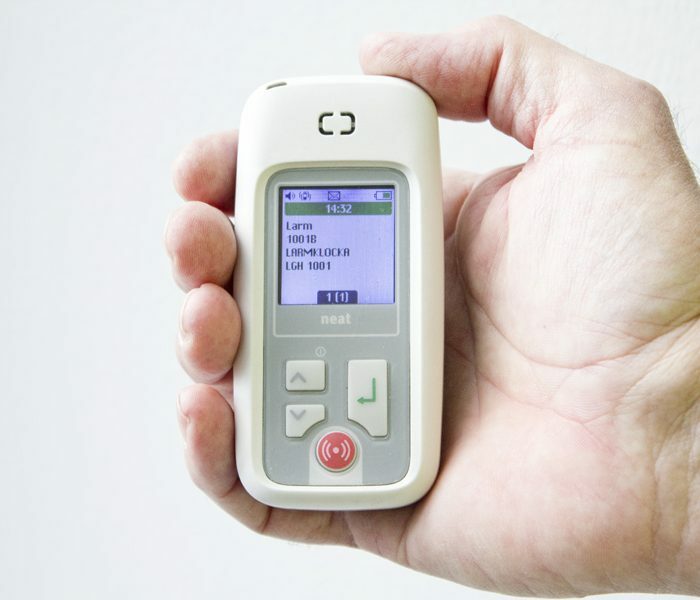 If an unauthorised person enters the room, an alert is sent to staff pagers (pictured here) and the Nursecall Logger displaying the location of the alert so the Care Staff can go straight to that bedroom to help. The incident is recorded in the Nursecall Logger, helping with requirements for the CQC. The system is not invasive, it can be discreetly mounted and doesn’t require any residents to wear any sort of device. The system works with our Nursecall Logger, enabling incidents to be recorded, with the ability to record notes explaining how the issue was resolved, providing notes to help with CQC requirements.